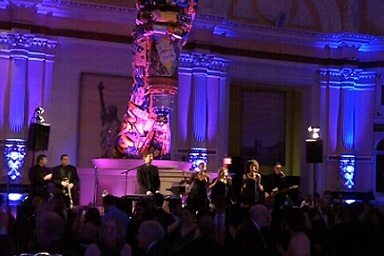 Why choose The Untouchables for your event? Years of experience with a great reputation in Philadelphia and beyond. An ability to read and adapt to the flow of the party. Unstoppable entertainment – with continuous music. We are ready to play all night long! Captivating personalities to interact with the crowd. A Love For What We Do – and we bring that passion with every event. After more than one thousand weddings, The Untouchables have the experience to handle every situation that arises. Every wedding is unique because every couple is unique. Wayne will discuss every detail and help you identify your style and your vision for your event. We are true professionals, dedicated to our craft and experienced at pleasing crowds of all ages. A jazzy cocktail reception, a Caribbean themed party, casino night, or a high energy multimedia dance party – all can be obtained by the Untouchables. 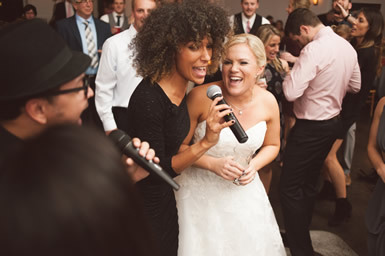 We are comfortable with any size group – from a duo to nine-pieces – and will make certain to have the perfect mix of music for all of the guests.